Connie to the Wonnie: Have You Been Listening to Society Again? 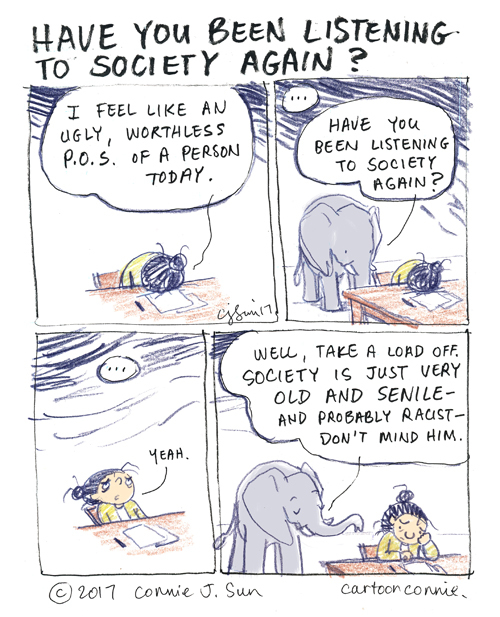 Don't listen to society. "He" is very narrow-minded and doesn't understand anyone who isn't just like "him". Your Wonnie is right!